How to Handle the Product? It is very important to understand some basic pad handling practices that will help prevent tight cores from becoming loose cores or moderately loose cores from becoming simply tape in a box with an operator left holding the core. A pad lying flat in a box or on a pallet should never be picked up by grabbing only the core. This puts the entire weight of the pad onto the layers of material surrounding the core. If these layers are even a bit loose, the core may pull completely out from the center of the pad. The probability increases as the weight or diameter of the pad increases. Why use cardboard cores if they cause looseness? Cardboard is the most preferred source material for cores used in Wire and Cable for a number of reasons. Wet-laid cardboard tubes can be easily sourced in most any region and are fairly inexpensive to cut to your desired width by simple tube-cutting devices. This allows for storage in the least expensive component stage, long tubes, and only cut to width on an as needed basis. Plastic cores are certainly more durable than cardboard. In operations that rely on a low level of particulates within their operation, they offer a no paper dust option. 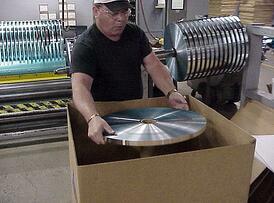 However, plastic can be more challenging and more expensive to cut into the required variety of widths. 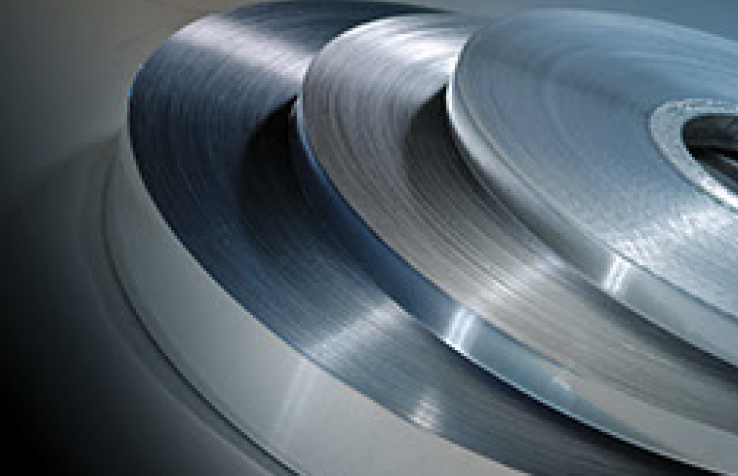 Precut cores would simplify the in house cutting concerns, but remain a challenge for any operation to maintain the correct widths on hand for unpredictable daily width requirements. Commonly used center-wind slitters, which operate with an overspeed ratio to keep the tape under tension, generate heat from the shaft up into the core. This heat can be high enough to melt low molecular weight plastic cores. Alternative lock-core methods do not generate heat, but the use of plastic cores in this process can yield unstable pads when dealing with raw materials that inherently carry minor inconsistencies in thickness. It simply comes down to the fact that plastic cores can be less forgiving and are a more expensive engineered option for most Wire & Cable applications. How does Chase/NEPTCO prevent loose cores? 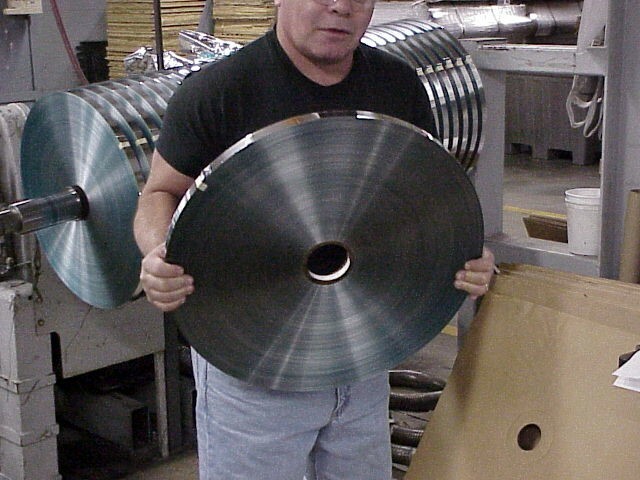 As the provider of tape, Chase takes great steps to limit loose cores for our customers. Our goal is zero occurrences, but looseness can still develop after a product leaves our facility, either during transportation or after storage in a warehouse. Over the years Chase/NEPTCO has investigated many potential fixes in an attempt to eliminate loose cores altogether. Options such as saturated cores have worked far better than conventional methods, but these are still not perfect. Environmental concerns have arisen with some of the legacy resins used to seal the cores and protect them from humidity changes. Unfortunately, cores can only be saturated after they are slit, so having the right inventory on hand is a challenge. We also worked with our vendors to consider wax sealed tubes to limit the amount of absorption, but once the tubes are cut to size, the exposed cardboard quickly absorbs moisture and subsequently undermines all efforts. Ultimately, the simple act of pre-drying cores has proven to be the most beneficial method to use. Since loose cores happen with cores that have trapped moisture that they may later lose, it makes sense that by winding the material onto cores with limited moisture means the cores cannot shrink further. This simple practice has led to a great reduction in complaints. What can I do to protect my inventory from developing loose cores? Since much of the cause of loose cores is moisture cycling from the cardboard, storing material in a moderate climate is ideal. Warmer months promise higher humidity while colder months offer less. Loose cores will be more likely found in the colder months. If the storage area is humidity controlled, there will be far less moisture absorption/loss cycling. This should maintain the material and cores at somewhat of a steady state and keep the material as close to the condition it originally arrived. What can I do with the material I have in inventory that exhibits looseness either around the core area or between layers? The first suggested step is to ensure the material is at room temperature. If the product is stored in a very cold or warm area and the foil is part of the construction, the foil may have expanded or contracted enough to make the pad loose. Simply moving the material to a moderate temperature and giving it time to equilibrate can restore enough moisture to essentially “pump up” the core. Many times this is sufficient to regain stability within the pad. Occasionally more drastic measures are necessary. Some use side plates on the let-off assembly to keep the pad intact while unwinding. Another potential remedy is to dampen the core with a small amount of water. This often swells the core just enough to tighten it. We have even witnessed operators driving a small nail into the core to expand it against the product. It is unfortunate that loose cores are a reality, but hopefully understanding the causes that contribute to the problem and making use of some best handling and storage practices, loose cores can be significantly reduced in your operation. If you have any question contact our team.